Students should arrive in school before 8.15am. Registers close at 8.45am. Any students arriving after 8.45 will be recorded as an unauthorised absence. 5 late marks after registers have closed in any 6 week period could result in a £60 fixed penalty fine or a summons to court. 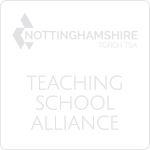 Nottingham Free School treat every application for leave of absence on an individual basis; however, school will not authorise absence for the reason of a family holiday unless there are exceptional circumstances. 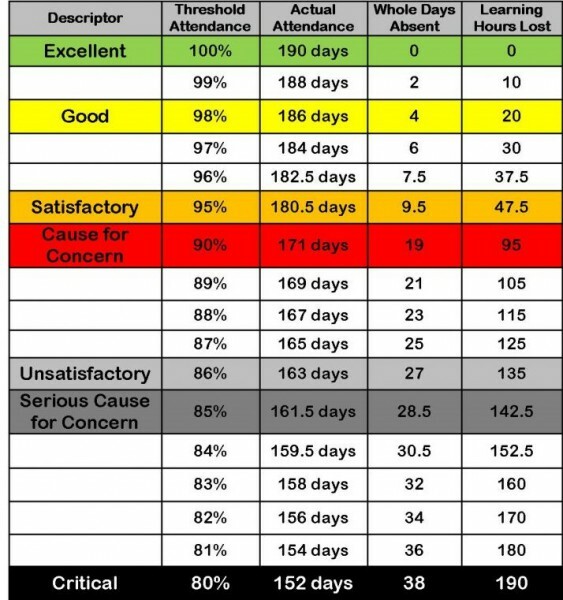 Attending 4.5 days a week = 90% attendance = 4 weeks missed per year. Attending 4 days a week = 80% attendance = more than half a term missed each year or 2 full years missed over the course of their school career. 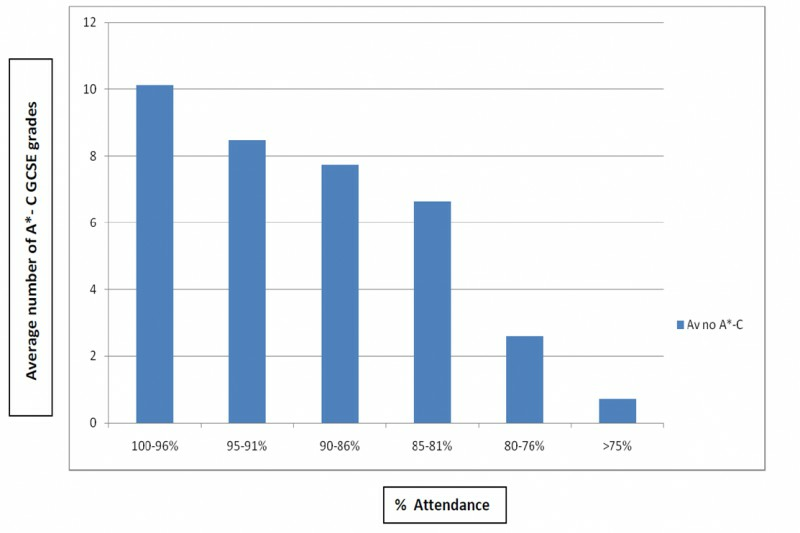 Attending 3.5 days each week = 70% attendance = more than a quarter of the school year missed. Being late for school reduces learning time. If your child is 5 minutes late every day they will miss three days of learning each year. If your child is 15 minutes late every day they will miss 2 weeks of learning each year. Please note: National average attendance is 95%. 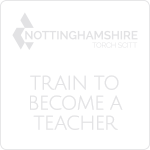 Therefore, Nottingham Free School will not be authorising any absence below this level without medical evidence. How do we recognise excellent attendance? Excellent attendance is recognised and rewarded at Nottingham Free School with certificates and prizes for those students achieving 100%. We also offer a £100 prize to any student who achieves 100% attendance over their 5 year school career. We also enter students into the attendance challenge which focuses on students achieving 98+% each half term. Students earn tokens each half term which they can exchange for prizes. Each tutor set with the highest attendance each week is able to earn flapjack for their tutor set. We also nominate 2 students per year to receive the Lord Mayor’s Award. This recognises the achievement of city students for both attendance and attitude. 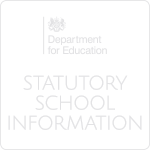 If your child is ill or absent for any other reason, contact the school on every day of absence by 8.15 am on 0115 8964949. If your child is attending a medical appointment during the school day, you can notify the school by emailing contact@nottinghamfreeschool.co.uk or writing a note in your child’s planner.